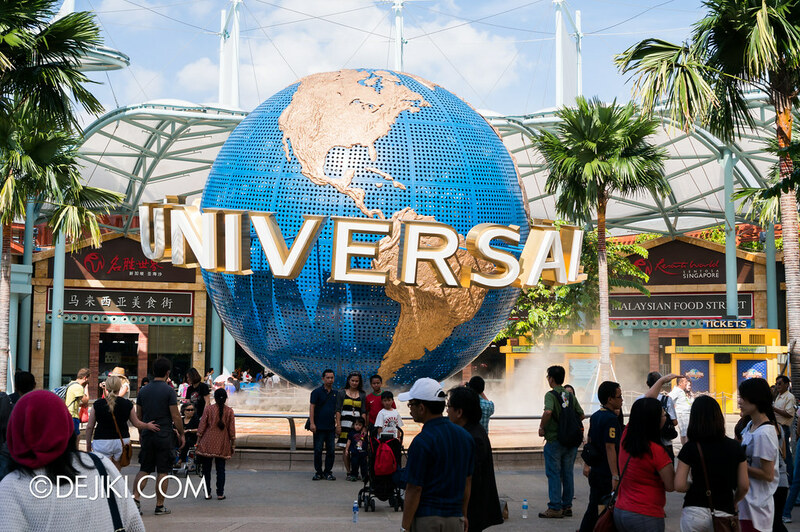 Universal Studios Singapore has modest amounts of decorations at its entrance, while other areas at Resorts World Sentosa are fully decked out with flower displays and other festive installations. 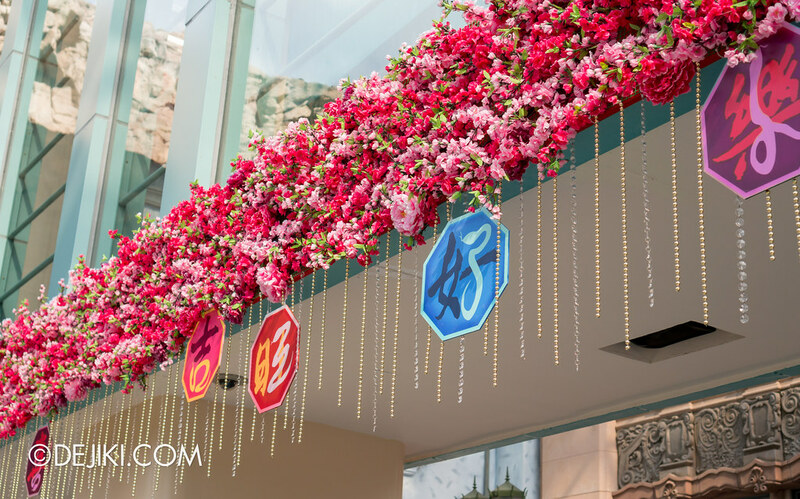 It’s the year of the snake this year, so there are several of these auspicious characters (with a “snake” hidden in the calligraphy) hanging from the flowers. It looks better than last year’s but a few steps into the park and it’s back to normal. Really, it ends at the entrance. The park was quite crowded with tourists in January. 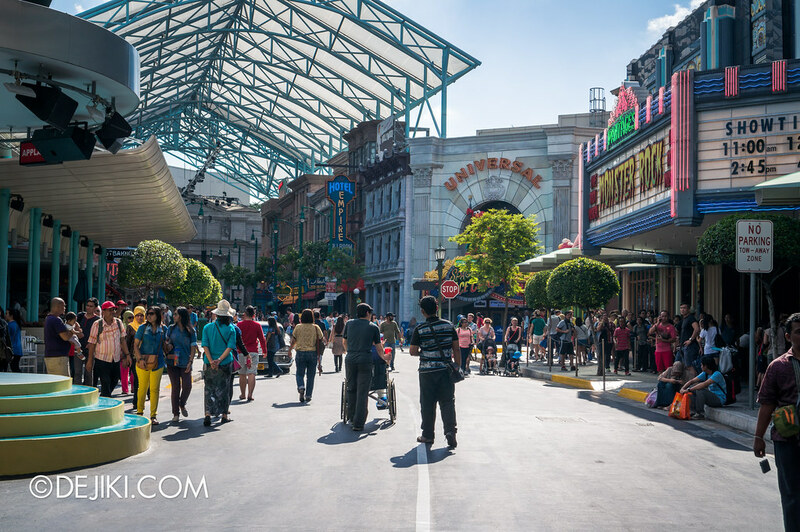 Fortunately all the attractions were running, so guests are pretty much distributed all over the seven zones. It’s still very quiet at Spaghetti Space Chase (or not. read on!) but is expected to soft open very soon. 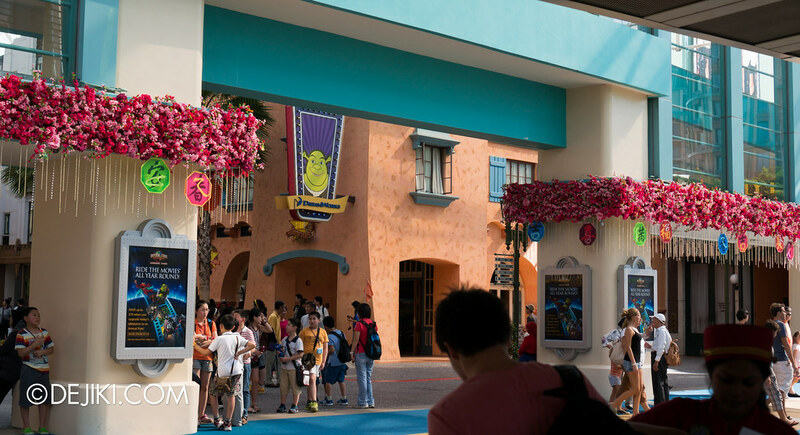 Preview for Annual Passholders will be held on 16 February 2013, from 10:00AM to 2:00PM. Valid annual passes must be presented at the ride entrance for admission on preview day. Preview admission is not transferable. 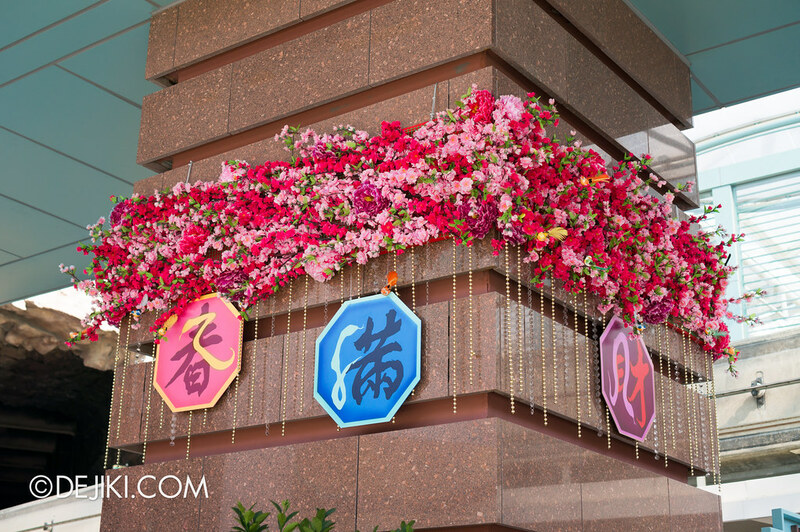 Preview for RWS Invites members who have redeemed the “Special Day” package will be held in the morning of 17 February 2013. Preview for RWS Team Members and partners will be held during some evenings in February. Due to the nature of these events, I cannot reveal further details or actual dates. The ride is expected to be open to public after these previews, likely on afternoon of 17th February 2013 or on 18th February 2013. At this moment, the only official information is that the ride will be fully operational in March 2013. Technical Rehearsals (also known as Soft Opening phase) may, or may not be held for this attraction. The ride’s safety information sign mysteriously disappeared in early January. 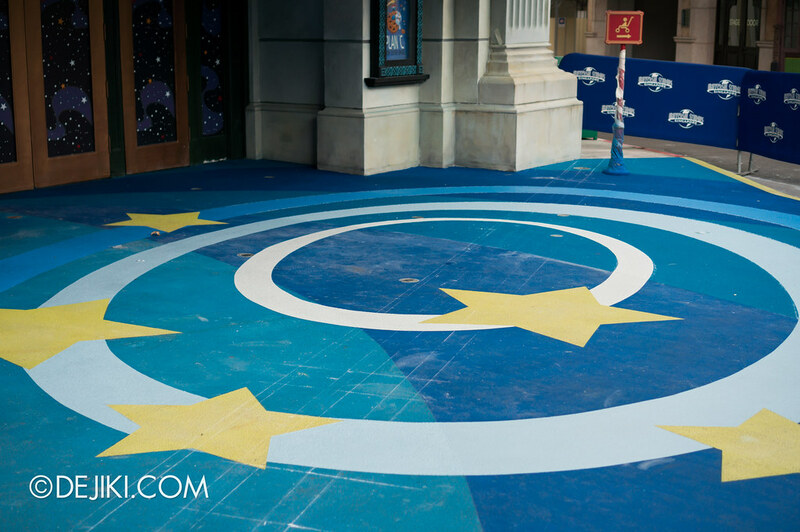 (Above: Early Jan) The painted floor at the ride entrance had a lot of marks in early January. Weeks later it seems to be repaired and/or cleaned. Here’s how the floor currently looks like. There are even cut pieces of carpeting to prevent the barriers from scratching the paint. And here’s a surprise. 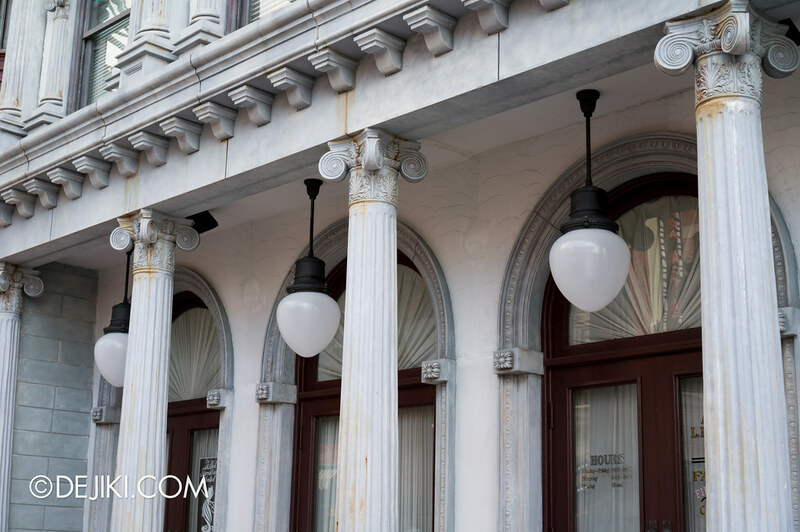 The ride’s queue area audio has been playing along New York (where the outdoor queue of the attraction is) and can be clearly heard near some New York building facades (especially outside Hotel Empire). This queue audio is themed as a “Sesame Street News Update” and offers guests a teaser of the Spaghetti Space Chase’s story while waiting in line. 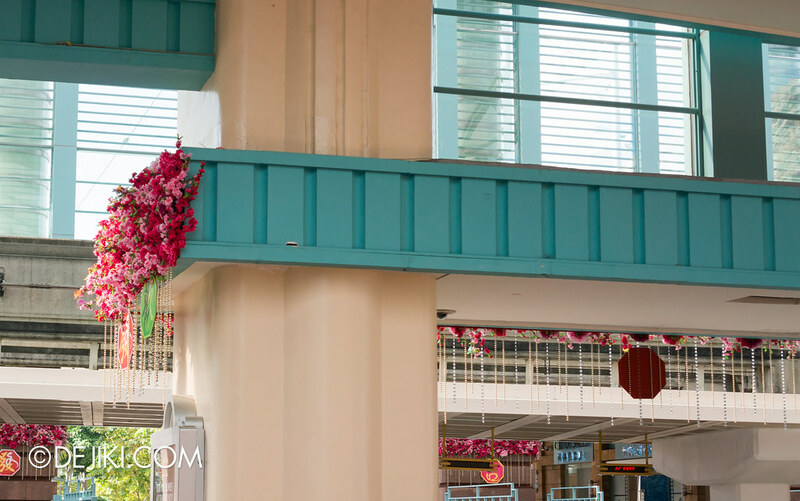 These speakers seem to be recently installed for the new attraction. Here’s a rough transcript of the audio. 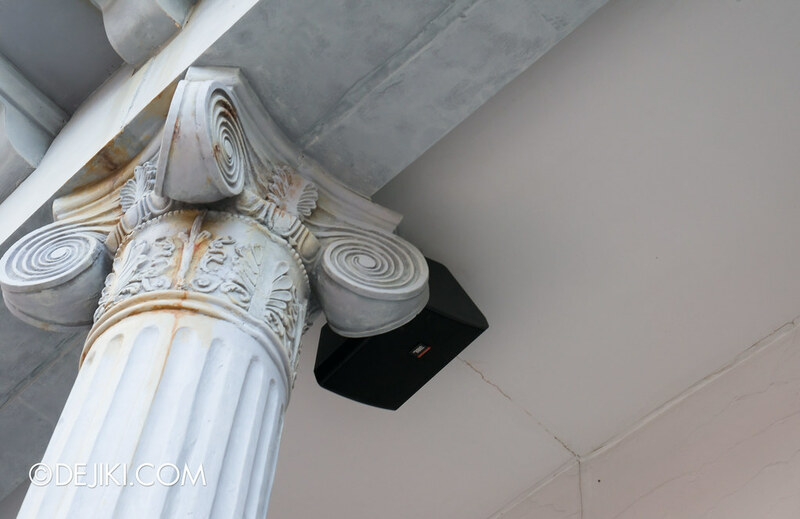 When I was at the park, the audio does not play smoothly – often breaking up and restarting. I’m not sure if the park is doing some troubleshooting or someone knew I was there and was well, playing around with it. Anyway, Elmo’s line was difficult to hear because well, it’s Elmo’s voice – and the playback kept breaking off at that segment. [♫ Typical News Programme Jingle ♫] And now, from the Sesame Street News Network, here’s Anderson Cucumber! Anderson Cucumber: Anderson Cucumber here with another Sesame Street news update. It seems more and more people, birds, Snuffaluffagus-es and monsters are having their spaghetti sucked up into… [Trumpets] OUTER SPACE! Elmo: It’s true, it’s true! Elmo [………………….] Abby lost her Pixie Pasta! 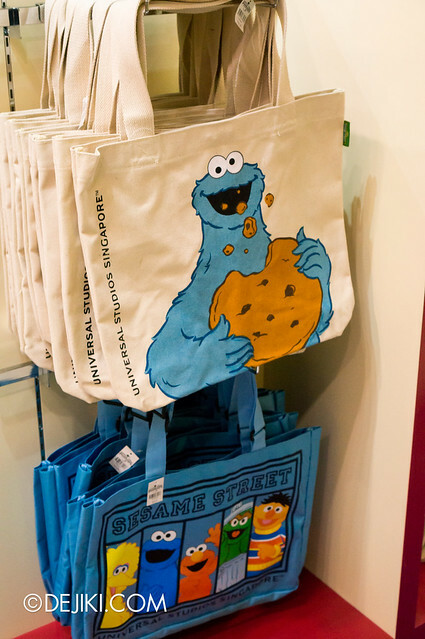 and Elmo saw buddy Cookie Monster lost his Cookie Capellini!! Anderson Cucumber: Let’s go live, out there in the action! 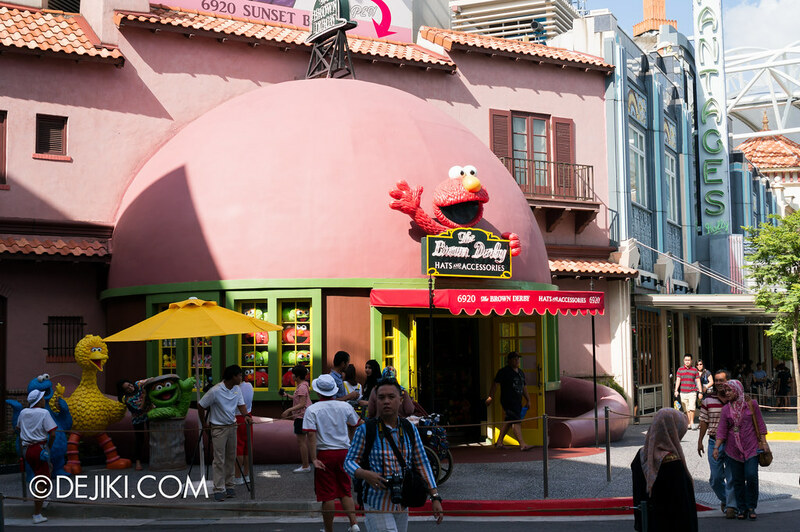 Here’s how it looks like with the Sesame Street Photo Spot. 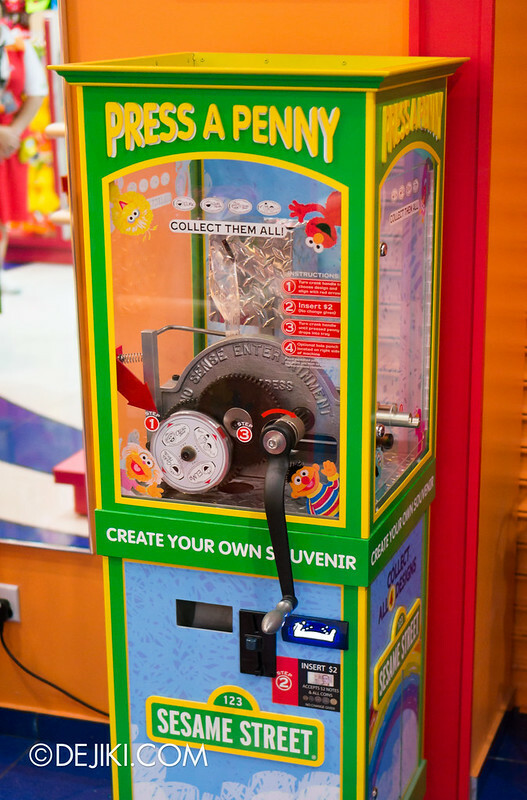 There’s a Press-A-Penny machine for Sesame Street, at Big Bird’s Emporium! Oops, it has been moved to some other place. But anyway, here are the designs available. It costs $2 to make one (copper blanks provided by machine). 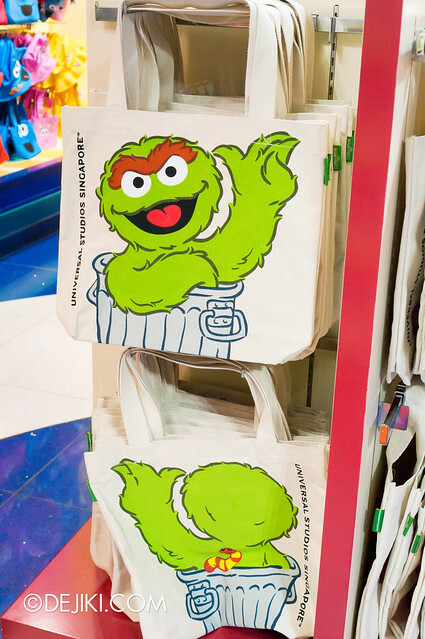 Not sure if these are new or not, but Sesame Street character tote bags can be yours for S$24.90 each. Jurassic Park Rapids Adventure Splash Cannons: Gone! 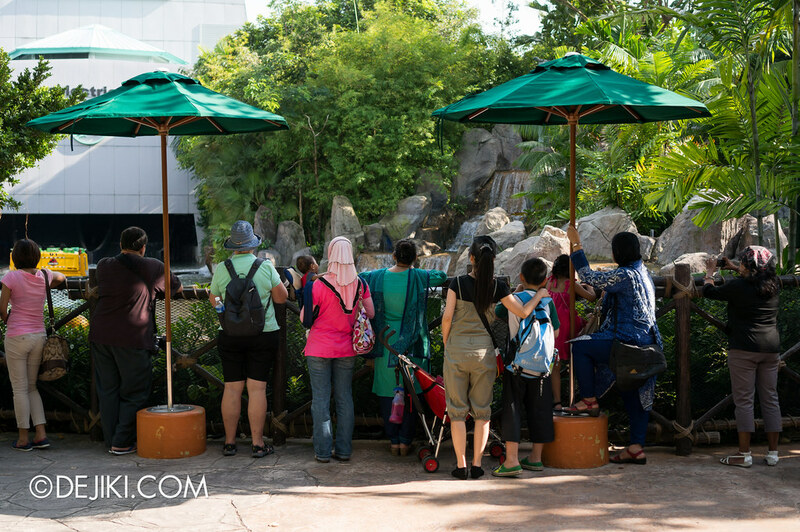 The splash cannons at Jurassic Park Rapids Adventure used to provide extra fun for S$1.00 a minute. They are permanently removed. In its place? Two umbrellas. I guess either it’s to address safety concerns (?) or it was too costly to maintain. 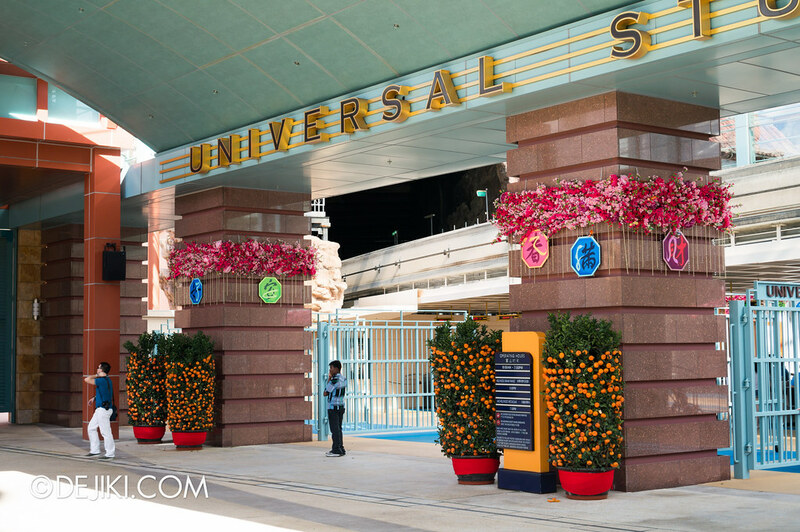 There will be a photo entry on Hollywood Dreams Parade soon. There weren’t any major changes, but I thought it’d be a good time to revisit the parade as it has been running for more than a year now. The wait is almost over, Luke. Hang in there! 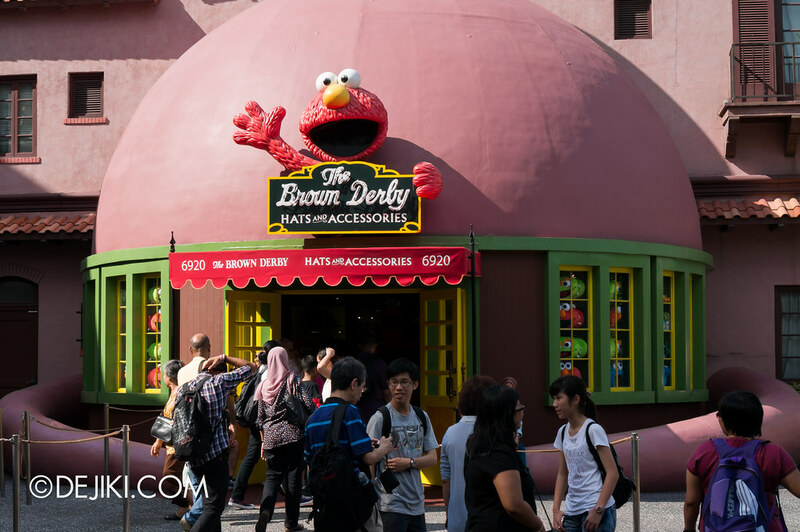 I was there on 26th Jan evening at 7pm and it seems like they were hosting some sort of VIP preview for the Elmo ride. The barricades in front of its entrance was removed and the place was cordoned off with ropes all the way to Monster Rock. Security people could be seen along it, getting ready and checking details. I wonder who are those lucky VIPs or big shots. 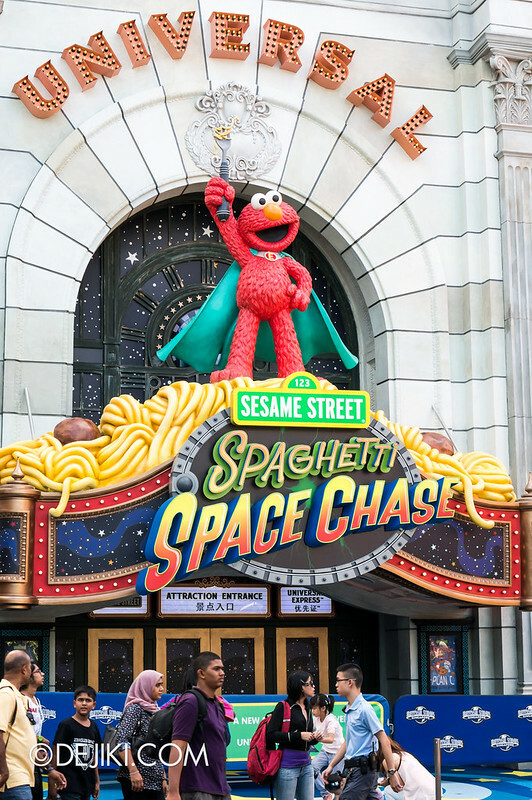 Just received the email from RWS about the annual pass preview for Spaghetti Space Chase. It’ll be on 16th Feb! So excited! How come I did not receive any E-mail?! Strange, I did not receive email about it. Do I need the email printout for the preview or just present my annual pass will do? May I ask when did you bought your annual pass? Just present your Annual pass at the ride entrance will do! My Annual Pass was renewed twice, the last renewal in June 2012. I bought it before the park opened in 2010. Check your Spam mail box! I found it there! 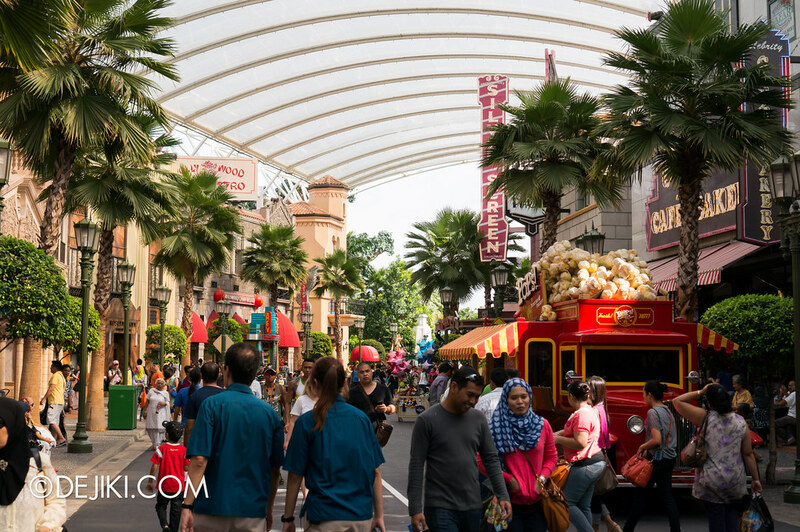 What do you think about going to USS on chinese new year? Would it be crowded?